Malicious code is a set of instructions that runs on your computer and makes your system do something that you do not want it to do. For example, it can delete sensitive configuration files from your hard drive, rendering your computer completely inoperable; infect your computer and use it as a jumping-off point to spread to all of your buddies' computers; and steal files from your machine. Malicious code in the hands of a crafty attacker is indeed powerful. It's becoming even more of a problem because many of the very same factors fueling the evolution of the computer industry are making our systems even more vulnerable to malicious code. Specifically, malicious code writers benefit from the trends toward mixing static data and executable instructions, increasingly homogenous computing environments, unprecedented connectivity, an ever-larger clueless user base, and an unfriendly world. 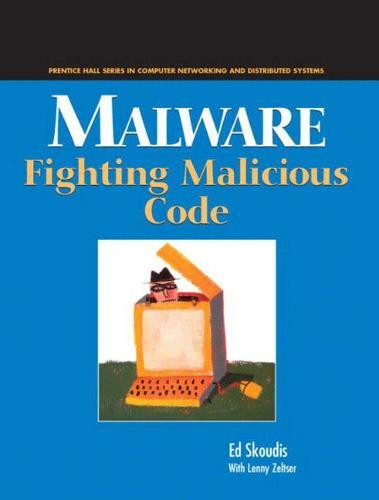 Skoudis addressed malicious code in just one chapter of his previous book. Here, a dozen chapters focus on one of the most interesting and rapidly developing areas of computer attacks. *Chapter 11, "Defender's Toolbox," rolls together the defensive strategies described in the book. As a bonus, Skoudis gives recipes for creating your own malicious code analysis laboratory using cheap hardware and software.